Dr. Riley has a family oriented practice in Connecticut for 35 years. She enjoys working in pediatrics, women's medicine, tick born illness, allergies, oncology, and a variety of acute and chronic illnesses. She received her doctorate in naturopathic medicine from Bastyr University in Seattle, Washington. 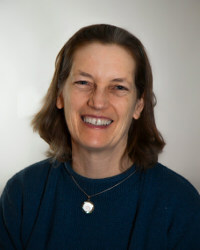 Dr. Riley is a member of the American Association of Naturopathic Physicians (AANP) and the Connecticut Naturopathic Physicians Association (CNPA). She is a past receipient of Health Practitioner of the year from the La Leche League of Connecticut. She has received certifications in advanced Bowen from the Bowen Therapy Academy of Australia and is an Associate Bowen Instructor. Dr. Riley volunteers for Hawkwing, participating in medical mission trips to the Cheyenne River Reservation. "It is my firm belief that the patient is ultimately in charge of their health and I use education and a team approach to include the patient and other healthcare providers in their treatment." - Dr. Kathleen Riley, N.D.
Dr. Wilberto Lugo, N.D. is a board-certified, licensed Naturopathic Physician focusing on whole person naturopathic care whose treatments modalities also include acupuncture, cupping and constitutional hydrotherapy. He is committed to helping people improve their physical and mental health so they can enjoy the best quality of life possible. Dr. Lugo's interest in natural medicine began as an adolescent when read about natural medicine and started using some homemade remedies to improve his own health. He decided to turn his interest into a career where he can help people improve their health by spending quality time listening and educating them. In his practice, Dr. Lugo takes a personal interest in each patient, taking all the time necessary to listen to their concerns and present them with their options for care. He works closely with his patients to find solutions which work well for them and he is particularly interested in autoimmune, endocrine and gastrointestinal conditions. Dr. Lugo received a Bachelor degree in Biology graduating with honors, specializing in Secondary Education in Biology from the Inter-American University of Puerto Rico. He completed his Doctorate in Naturopathic Medicine at the University of Turabo of Puerto Rico with honors. 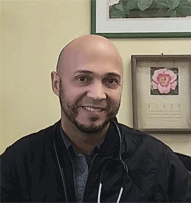 Dr. Lugo is a licensed naturopathic physician in the state of Connecticut, and has worked in the past as a biology teacher and with recognized insurance companies. Invitamos a todos los hispanoparlantes a visitarnos y ser�n atendidos en su idioma.